Hello my friends....do you feel like you have been making Holiday cards for about six months now? I started in July and have been making them ever since. Most of the cards went to Operation Christmas Card but now I am making them to send to friends and family. This was a really simple card to make. Lots of black and white with just a touch of gold. Flourish was embossed with silver powder as was the sentiment. 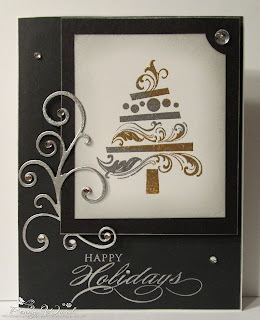 For the tree, I sprinkled a little of the gold and silver embossing powder, and I really like the effect. I also used silver ink pad to distress around the tree, then attached with foam adhesive. 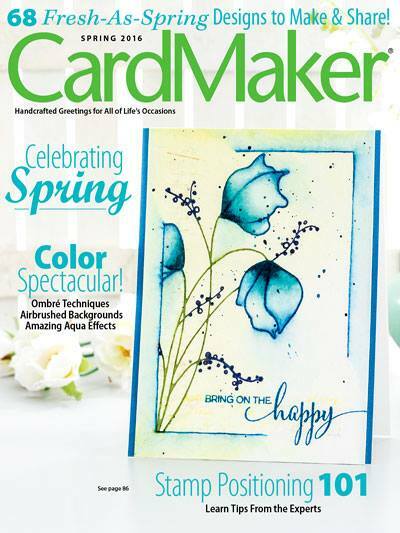 Run a silver stamp pad around all edges as it gives it a nice finish. Add a few gem stones and your card recipients will think you spent days making their holiday greeting. Penny this is sophisticated elegance!